The members of Randolph’s Creative Writing department are proud of their Visiting Writer Series. The program allows them to invite six writers onto campus each year: three established writers (flying visit with reading), two Writers in Residence (one month teaching gig plus reading), and one Emerging Writer—defined as a “bookless” recent graduate of an MFA program. Bunny Goodjohn P W’07 was behind Gina Troisi’s invite, and at the end of the residency (seven weeks), she took the opportunity to ask Gina how it all went. Goodjohn: What were your plans for a writing life “post Stonecoast”? Troisi: When I graduated from Stonecoast, I hoped to complete the collection of linked essays that I began during my first semester while working with Joan Connor. I also hoped to write more poetry and fiction (since my MFA was in Creative Nonfiction), to continue to read widely, and to submit individual essays. I left Stonecoast stimulated by the thought of having so many more stories to write, books to read, and things to learn. At the time I was an adjunct at a local community college, but I found I needed more of an income, so I went back to tending bar. I found that teaching and working in a restaurant left me with too little time to write, so I reluctantly dropped the teaching with the idea of keeping the job that would help me prioritize my writing. For the past couple of years, I worked three nights a week and spent my days off writing, with a weekly goal of twenty hours. Finding a way to support myself while still having time to write has been and will probably continue to be the hardest part about maintaining a writing life; this is one of the many reasons that my time at Randolph was so valuable. Goodjohn: Did you have any preconceptions about the Emerging Writers position? Were there any surprises? Troisi: No, I can’t say that there were any major surprises; one wonderful surprise was that I found out I wouldn’t have to prepare my own meals. I imagined that Emerging Writers were allowed a chunk of time to devote to their own work, and would also have some responsibilities, which was pretty accurate. Before being accepted for the position at Randolph, I’d been applying to artist colonies, hoping for some uninterrupted time to fulfill my visions–to decide which essays were meant to be in the book, which needed to go, what else needed to be added, how to sequence things, etc. The Randolph residency fit the description of what I’d been looking for even more than those programs to which I’d been applying. For instance, being on a campus within an academic community seems to fit me more than a colony in the woods does, since it provides necessary structure for my writing routine. The Randolph faculty and students, and their focus on the arts stimulated and inspired me. The few responsibilities I had (teaching a class, holding office hours) offered necessary breaks from my own work, for the time to let my subconscious sort out different aspects of my own project, and to become integrated with the academic community. Goodjohn: If you knew then what you know now, would you have prepared differently for the experience? Troisi: I wouldn’t have spent so much time practicing for my reading. I am a fairly new reader and had only gotten up in a front of a group to read my own work a handful of times, each time for far fewer minutes than the sixty I read for at Randolph. For days before my reading, I became distracted from my writing and got caught up in practicing. I not only deliberated far too long about what I was going to read, but I tape recorded myself and played it back continuously, nit picking every little thing. I learned that there is such thing as practicing too much, and although my time at Randolph was prolific, it would have been even more so had I let the reading be more organic. Goodjohn: What was the high point? Troisi: There were so many high points! I particularly enjoyed the mornings. At home, I work nights, so the residency allowed me the rare opportunity to rise with the sun, brew coffee, and get right to work, without having to consider how I’d make it through a long night of slinging drinks and serving food. I had been wanting to experiment with writing in the mornings, but since my “regular” life doesn’t permit that kind of schedule, it’s yet another experience that I now associate with the magic that is Randolph. The window above the desk in the apartment revealed the night turning into day, as I typed for hours, not noticing the passage of time until I became distracted by hunger. I’d break for lunch and contemplate the morning’s work, then begin again. For most of the seven weeks, I remained in the blissful state of subconscious creation. It was truly an amazing experience. Goodjohn: What was the low point? Troisi: The only low point I can think of was about halfway through the residency. I participated in a Q and A session with the BFA students a couple of days after my reading and during the session, I found myself explaining, and at one point almost defending the genre of creative nonfiction. I know that the genre has had its share of bad publicity, but after the discussion I found myself playing back questions and answers, analyzing my responses, mulling things over in the obsessive way I tend to, especially during a bout of solitude. What I realize is that the questions weren’t what bothered me, but rather the fact that much of this book I’m trying to put out into the world involves people who are or have been in my life, and I became sort of paranoid about what their responses might be to it. I’ve spent nearly five years on it, but the alone time at Randolph accentuated possible negative reactions in a very real way, especially because I was finally completing the manuscript. The question of changing names and places, and the uncertainty surrounding how much to change was bothering me, and I had some pretty panic filled moments concerning this. I think this would have happened with or without the Q and A session, but I guess it just jump-started my worrying in a way that had never happened when I was surrounded by writers in similar situations at Stonecoast. Of course, I got through it, and I learned from it; I realize that we can never guarantee how anyone will react to our writing, regardless of the genre, and it’s something we all have to deal with when we are hoping to release our writing into the world. Goodjohn: You taught for seven weeks, sometimes outside the genre of your choice. What was that experience like? Troisi: Teaching Exploring the Creative Writing Process was one of the many wonderful experiences I had at Randolph. The students were amazing; they were eager to participate, and they truly cared about writing. I was fortunate to have a talented group who were open to sharing ideas and insights and trying out new exercises and techniques. My background in teaching has been mostly composition or creative nonfiction based, so the Randolph experience has helped me to become a more well rounded teacher. I put a lot of thought into picking out the assigned readings, and spent much time considering the aspects of each genre we’d be focusing on, given that we only had seven weeks to work with. I had been working on some new poetry and fiction before arriving at Randolph; the teaching, as I’d hoped it would, did influence and inform my own works-in-progress. Goodjohn: Was seven weeks long enough to make you feel part of the academic community? Or was there a sense of separateness? Was this a good or a bad thing? Troisi: I did feel that seven weeks was long enough to make me feel like part of the academic community, but of course there was a sense of separateness, since I was “visiting,” and since I was there with a specific solitary goal in mind. I think it felt exactly as it should. The faculty members at Randolph were warm and welcoming, and I received many invitations to social gatherings. It was a perfect balance of productive time and social opportunity. I feel so fortunate to have been part of such a rich and unique academic community, even for a limited time. So far, it was the highlight of my writing life. Goodjohn: The Emerging Writer gets to spend a lot of time holed up in the campus apartment writing. How did that go? Troisi: It went really well! I am mostly an extroverted person, but I am diligent about my writing, so I was mentally prepared to spend a lot of time alone and fully focused on my project. The apartment’s space was extraordinary, especially since all of my belongings weren’t crammed into it the way they are at home! I put my book together, meaning I literally covered the apartment’s rug with pages and pages, continuously reordered them, decided what needed to go by actually cutting up pages, and wrote new material to make up for what the manuscript was missing. With such a concentrated amount of uninterrupted time, I was also able to devour books of essays and memoirs, studying and restudying how authors structure works of creative nonfiction. I moved from the kitchen table to the couch to the bedroom, and I took breaks by doing yoga on the living room floor. One mistake I made was not setting aside time to unwind at night; I would plan on it, but then get neurotic about my work and keep going, so I didn’t leave myself room for the “non-thinking” time that prevents me from having insomnia. I found myself dreaming about the writing, especially during the last few weeks. Goodjohn. Has the Emerging Writer gig changed your writing plans in any way? Troisi: No, it didn’t change my plans in any way–if anything, it got me moving forward. Since arriving home in mid-March, I’ve been working on finding a publisher for my collection of essays/memoir and applying for adjunct teaching jobs. I am hoping that I can cut down on bar shifts by taking on a couple of classes at a four-year college. I am trying to set aside time for new creative work instead of using all my free time to get the book published, even though I am working hard to get it out there. I have learned that I am a person who needs balance; when I am not creating as well as submitting, I feel constricted, unhealthy, and unhappy. Now that I am home, I’m getting back into a writing routine, and also looking forward to my next sacred retreat. 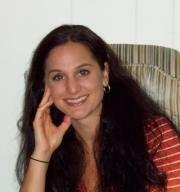 Gina Troisi is a writer of prose and poetry. Her work has appeared or is appearing in PMSpoemmemoirstory Literary Journal, Best New Writing 2010, Hope Whispers, Room Magazine, The Concho River Review, Compass Rose, and The Clackamas Literary Review. 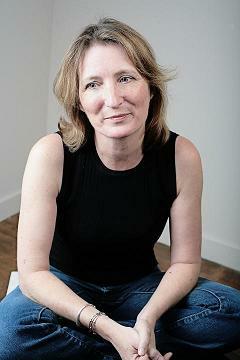 She holds an MFA in Creative Nonfiction from The University of Southern Maine’s Stonecoast MFA Program. I loved this look at your residency at Randolph, and at a place I’m fortunate enough to have visited, thanks to Ms. Goodjohn. Kudos to Randolph for establishing this revolving door of visitors, which says so much about how much the college values the creative process, and to Bunny for being the perfect ambassadress for visitors to this very special gem of a place. Super! Thank you both for a great interview!